Sally Johnson, from Priory Community Association. I received personal support in my new role as Chair of a Friends Group. The organisation has benefitted as a result because we have been able to be compliant with our constitutional requirements. The support made a huge difference to me personally as it helped me to remain confident with the increased knowledge Dudley CVS shared with me. Dudley CVS staff skilfully interpreted our unnecessarily complex constitution so that I understood it for the first time. I was able to lead the Friends Group AGM and with Dudley CVS support we attracted a great crowd which hadn’t happened previously. We collected comments from attendees and this is evidence that we made a great impression on our community. Thank you for the very kind words, Mariann and congratulations to all the groups and individuals that were championed in this year’s Mayor’s Civic Awards! 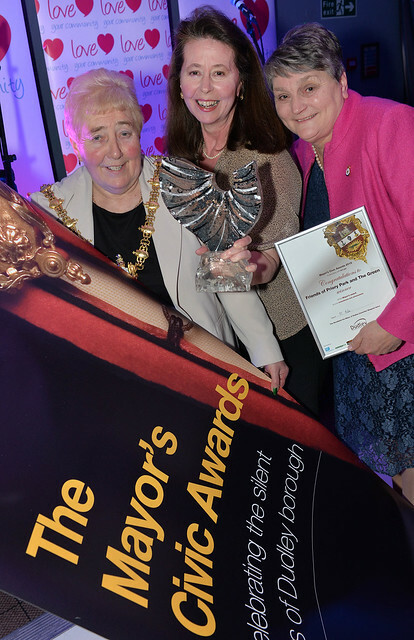 Mayor’s Civic Awards recognise some INCREDIBLE local volunteers.